Thanks to her sleek lines, plush comforts and sporty performance, your guests are sure to enjoy spending time on your 220 LE3 Sport as much as you will. Whether you’re smoothly cruising with a wakeboarder in tow, lounging in a cove far away from everything or sitting around the table enjoying a meal with your favorite music providing the soundtrack to a perfect outing. 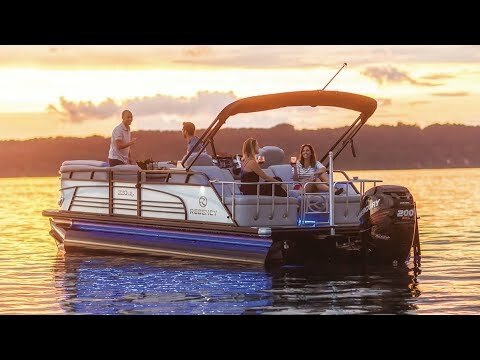 Every moment onboard this luxury pontoon boat will be one to remember for everyone. Max. person, motor & gear weight: 2185 lbs. Average package weight: 5910 lbs.